Take a minute to think about the best valentine you’ve ever received. What flashed through your mind? A note? A gift? Chocolate or candy? While our culture struggles to separate food—especially sugary sweets—from major holidays and celebrations, Valentine’s Day presents an excellent opportunity to challenge those norms and create healthier environments in our homes and schools. 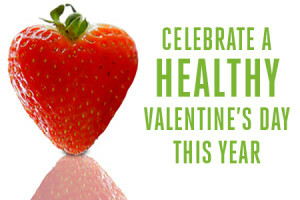 This year, we challenge you to do just that: Rethink your Valentine’s Day gifts and celebrations and make a concerted effort to choose healthy alternatives. Give the gift of time. Valentine’s Day falls on a Saturday this year. Plan a fun activity with your sweetheart or family. Ice skating or snowshoeing are perfect winter-time options. Write a heartfelt note. In the age of email and text messaging, hand written notes are a special way to express your appreciation for loved ones and friends. Think outside the heart-shaped box. Flowers, balloons and stuffed animals are classic non-food gifts. Etsy and local craft markets offer personalized, one-of-a-kind items that are sure to win you points. And for school valentines? Consider glow sticks, fun pencils, bubbles, puzzles and more. Encourage healthy treats for celebrations. There are a number of sweet and punny ideas for healthy Valentine’s Day treats pinned on our Pinterest page. Take a look and encourage others to celebrate with you in heart- and health-friendly ways. We believe that small steps like these can add up to big changes in your own life, in your family and eventually in your schools and community. We’d love to hear about the new traditions you start and how you are changing the environments around you to enjoy a long, healthy life with those you love.